This is not AGAINST GREY’s manifesto. A fair, equal system that empowers people as workers and as customers. 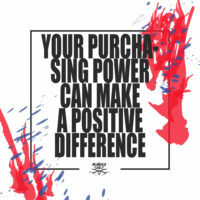 Our purpose is to create a range of shared values with all players in the fashion industry. We are committed to finding better ways to create fashion, but we can’t do it alone! you are a person with your own personality and opinion. We respect your uniqueness; we are glad to hear your voice and understand your necessity to be you! We hope to build a community, to create a new type of connection between who wants buy and who want to sell own product. We want create a direct relationship with customers based on real exchange of different point of views. Nowadays all of us must be conscious about what we choose to buy. We are constantly buying new clothes, without a thought about what we have, and what we need in our wardrobe. We have every colour under the sun, some of which we don’t even like. We purchase 400% more clothing today than we did just 20 years ago, despite the fact that we always have the never-ending feeling of having nothing to wear! We should increase the level of consciousness about how and who made the clothes that we wear everyday. 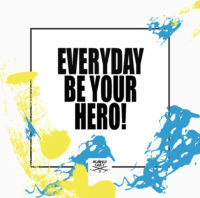 3 – Everyday be your hero! Be comfortable in your body, you deserve to be represented in your way. Respect yourself! Your strength is something to be celebrated and encouraged. Beauty is not one-dimensional: don’t waste your time following trends set by others! Don’t forget to respect others, too! 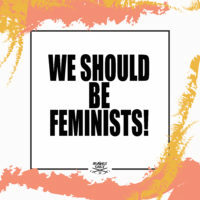 4 – We should be feminists! As women, we fight for equal treatment and opportunity. Especially in the fashion industry, 80% of the workforce is female with no rights and no voice. We support our sisters! 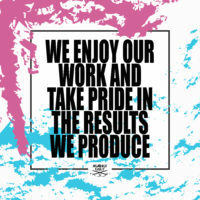 and take pride in the results we produce. We want to improve performance: everyday we expand our limits. We reclaim personal meaning in our pieces. We take time to create something that lasts -seasonless- something that you love and will wear forever! 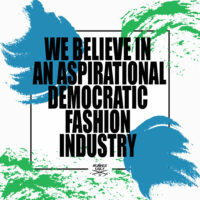 6 – We believe in an aspirational, democratic fashion industry. We reclaim healthy and safe working conditions. All fashion workers deserve equal and fair treatment. We demand a total transparency in the supply chain. There’s only one Earth: it’s time to rethink what we consume and how we produce. Fashion industry is the second largest industrial polluter, second only to oil. We have to slow down! As fashion brand we support circular fashion system, we produce reducing waste materials. Our effort is to offer new opportunities: no fabric goes to the trash! 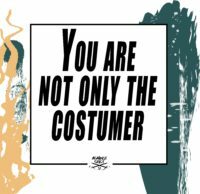 8 – Against Fast Fashion. Fast fashion has re-invented the way we produce clothes. It is based on quick production in a cost-efficient manner to respond to rapidly-changing consumer tastes in as short a time as possible. The pressure of rapid production translates into the exploitation of developing countries and the pollution of soil and water. We claim transparency, sustainability and ethics in the fashion industry. 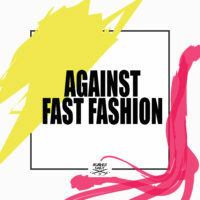 We have launched the #againstfastfashion social-media campaign. We can’t keep quiet about this any longer.Spread the word! 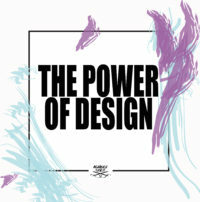 9 – We believe in the power of design. 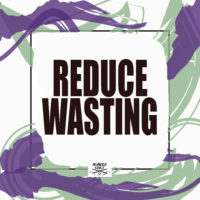 We think the role of design is pivotal in change the current fashion industry based on the model: “take, make, dispose” . We can influence user behaviour through design, creating something ethical,fair and beautiful. The Manifesto is an open project! This is the first edition. We hope to enrich it with a lot of different viewpoints. If you have comments, critiques or something to add you are welcome to contact us. We will be very happy to hear from you! 10 – The Manifesto is an open project! This is the first edition. We hope to enrich it with a lot of different viewpoints. If you have comments, critiques or something to add you are welcome to contact us. We will be very happy to hear from you!